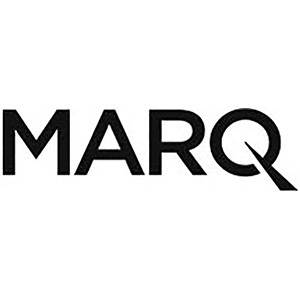 Back in 2015 InMusic (the company behind DJ brands such as Numark, Alto Professional and Denon DJ) launched a dedicated lighting brand – Marq – and its first wave of products have recently landed in the UK. Most notable is the innovative RezoTube Pack, a set of five 1M LED tubes that can be mounted in a variety of different ways making them ideal for mobile DJs. Each RezoTube features 64 bright RGB LEDs arranged in pairs, back to back, evenly spread across the length of the tube. They can be mounted using supplied floor-standing brackets as well as built-in hanging hooks. Along with the five tubes, the pack includes a RezoControl box, five extension cables, a unique fanned stand as well as five separate individual stands. All of this is supplied in a padded carry-case for easy storage and transportation. Pre-programmed with a host of impressive animated patterns, the RezoTube Pack can be used as a standalone effect, or integrated into a larger lightshow using DMX control or Artnet / Klingnet to allow low-resolution video to be played across the array of LEDs. A single pack offers a great way to enhance a small- or medium-sized mobile roadshow, while multiple packs can be used to create larger shows. As an example of how multiple RezoTubes can be used to great effect for a large-scale event, world-renowned production company CG Creative recently used no less than 70 of them for a huge corporate awards gala attended by 14,000 people in Las Vegas (pictured). The event was for Isagenix, a worldwide company involved in the health and nutrition industry, with annual global revenues in excess of $500 million. The Marq Lighting RezoTube Pack is available now with a UK SSP of £449.00. A full review of the RezoTube Pack can be found in Pro Mobile Issue 80 (November/December 2016).